The community was founded in 1906 to live a contemplative life of prayer within a traditional Christian monastic context. We are currently over thirty sisters. Most of us live at the Convent of the Incarnation, Fairacres, Oxford, where SLG Press is also based. Our day is made up of prayer and worship, our daily work and the various other dimensions of community life. More details about the community may be found on our community website. 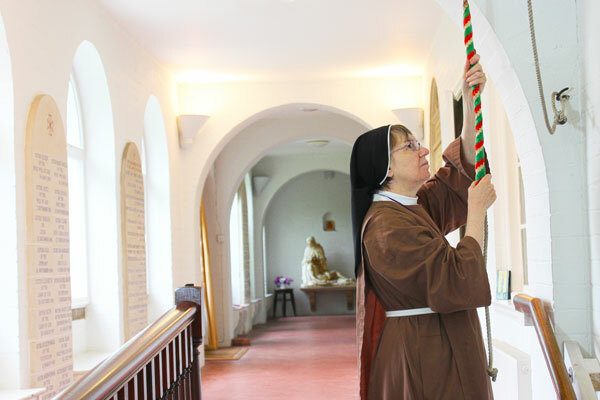 SLG Press draws its inspiration from the rhythm of our monastic life and the wisdom imparted to us from a centuries-old Christian monastic tradition. The community and SLG Press are supported by the practical contribution of SLG Charitable Trust Limited. The call of the community is to surprise the world with the love of God.